Our customers all over the world have been adventuring in authentic Australian gear since way back, and we are proud to sell tough wearing, long lasting products you can really live in. We also love receiving the awesome photos our customers send us wearing their gear and we want you to keep ‘em coming! However, our gear is only as good as the people that wear them! That’s why we want to reward our valued customers by giving away a $100 voucher every month! 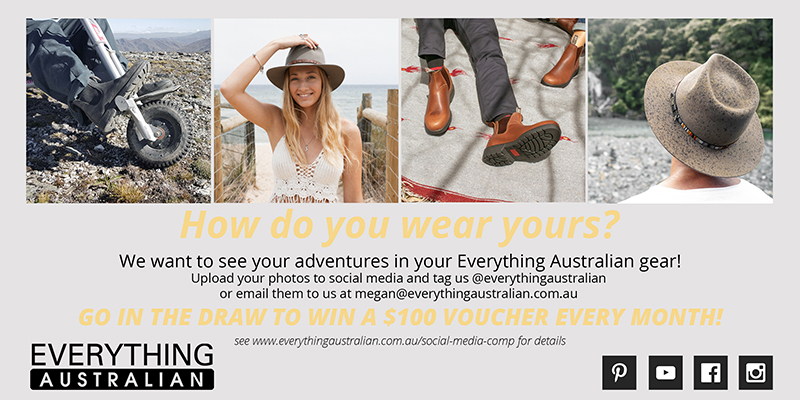 You can win simply by sharing your photos with us of you in your Everything Australian gear. Upload a photo or video to any social media (Facebook, Instagram, Pinterest, YouTube) and tag us and you’re in the draw. It’s that simple! If you’re not social media savvy don’t worry, you can send them to us at megan@everythingaustralian.com.au instead and we will add you to the draw. We will draw the winners at lunchtime on the last Thursday of the month, every month for 2019. So, get out there, and get adventuring in your Everything Australian gear, and don’t forget to share, you could be a winner! Sam is the owner here at EA. He has been designing and manufacturing true-blue bush gear under his label Genuine Australian Bushwear for 20+ years, since his beginnings at the Queen Victoria Market in Melbourne. 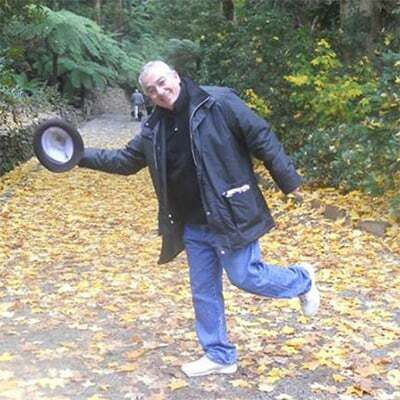 He is the expert in wet weather gear, riding coats and everything oilskin.